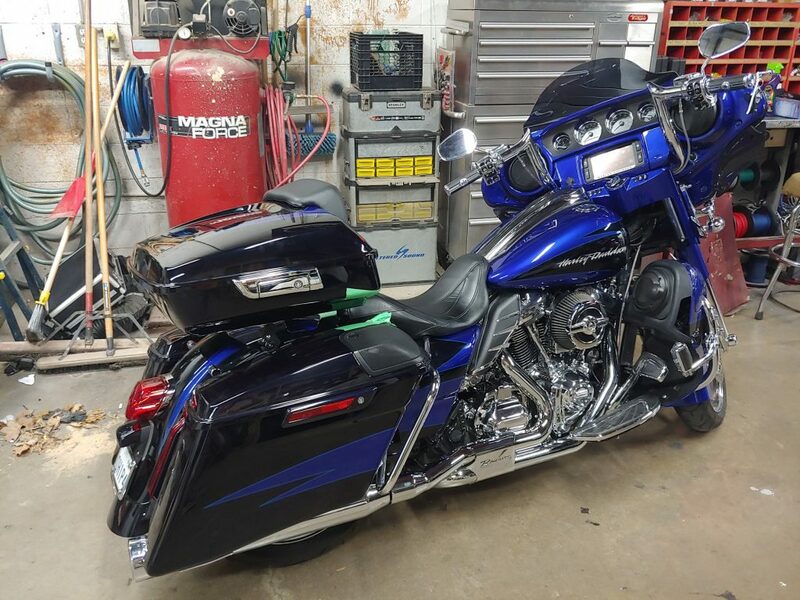 This 2017 Harley-Davidson CVO came in already loaded with sound system. 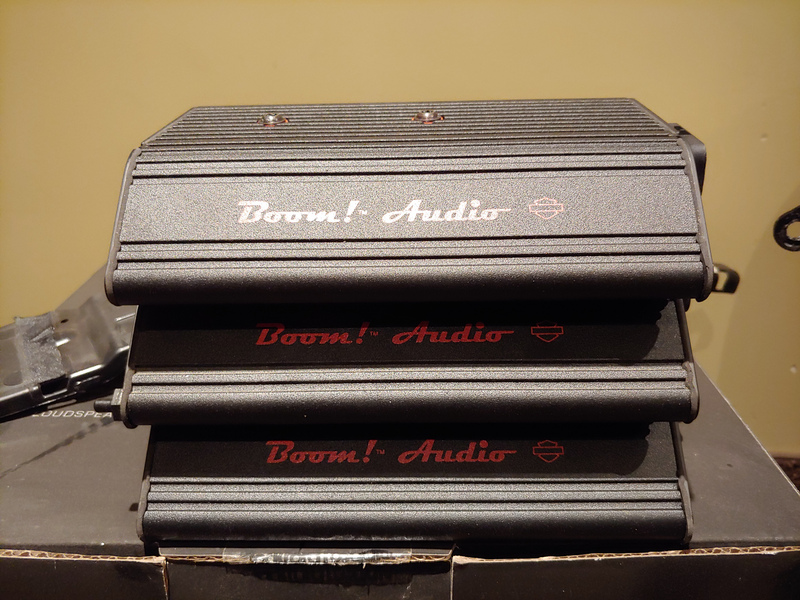 It had “BOOM AUDIO” Stage 3 by Harley-Davidson. 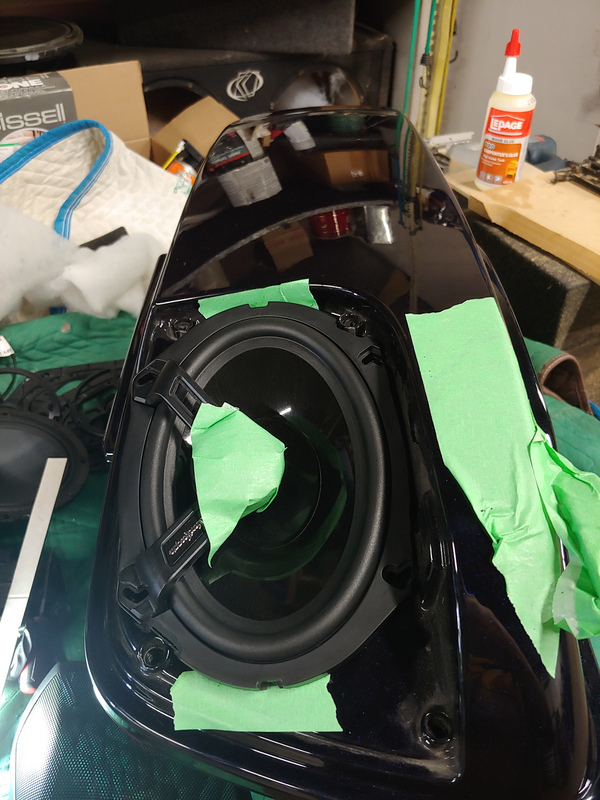 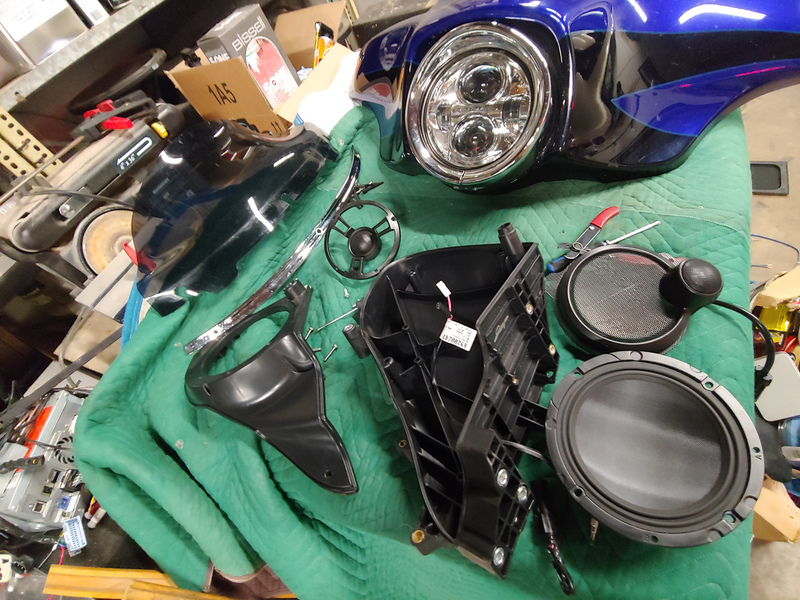 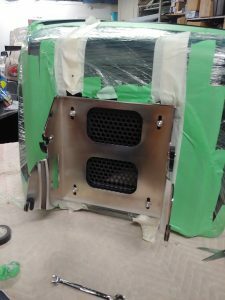 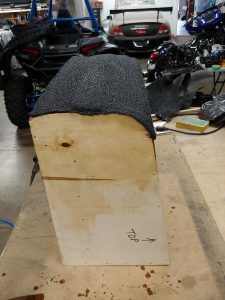 3 amplifiers (2 in each saddlebag and one amplifier in the fairing), BOOM audio front 3way component system with 6.5 woofers, 2″ dome midrange and 1″ tweeters, 5×7 rear speakers in the saddlebag lids and 4″ in the lower fairing. 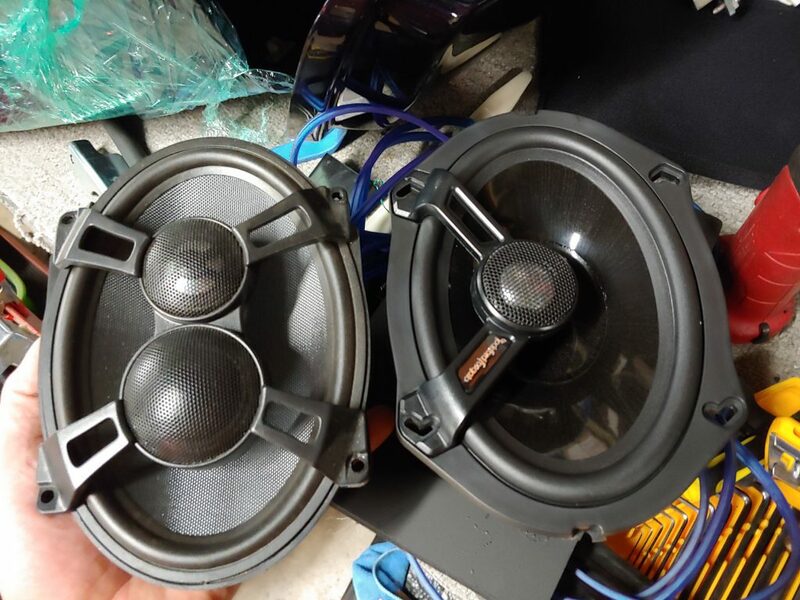 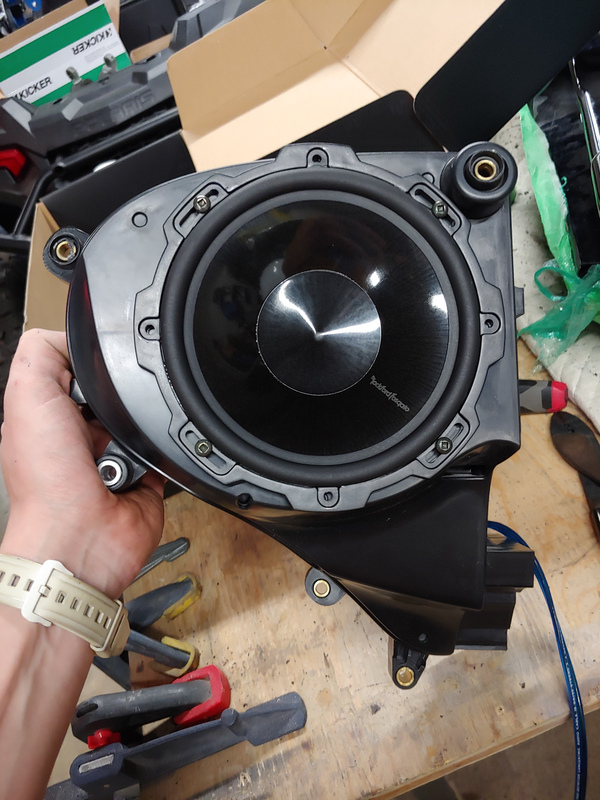 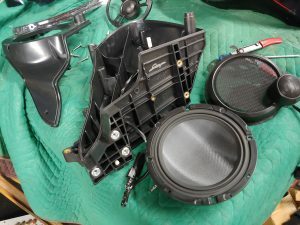 Unfortunately the price for this Stage 3 system doesn’t guarantee great sound. 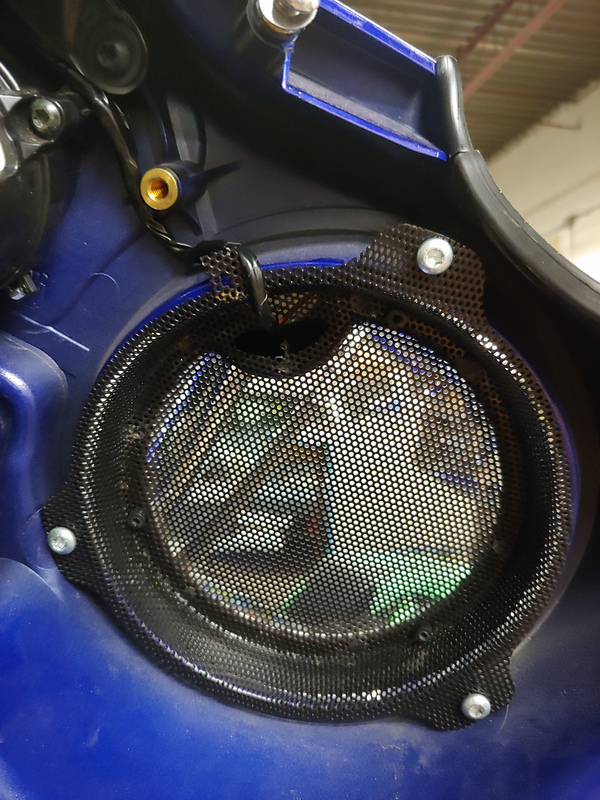 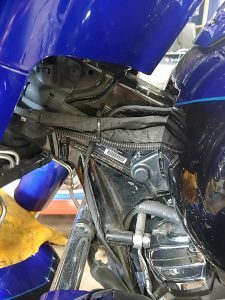 That’s why this bike came in our shop. 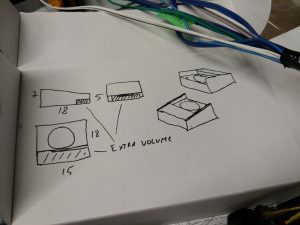 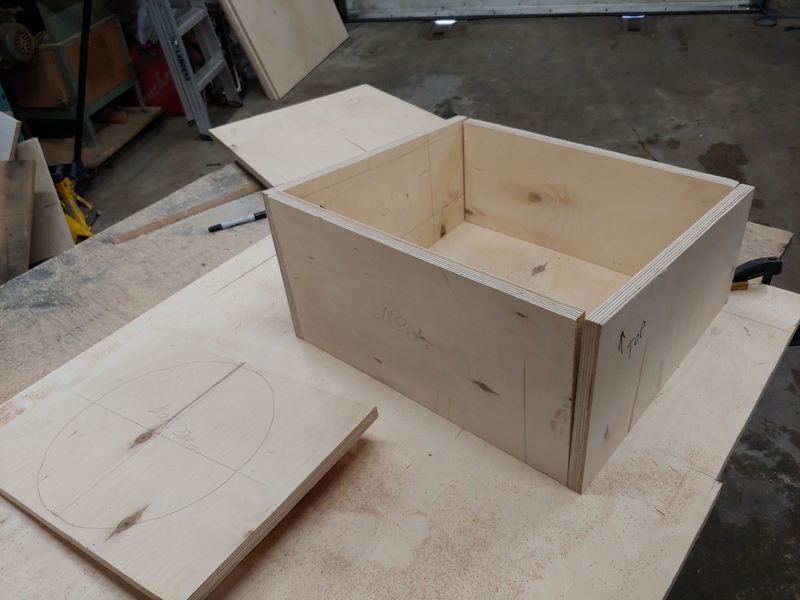 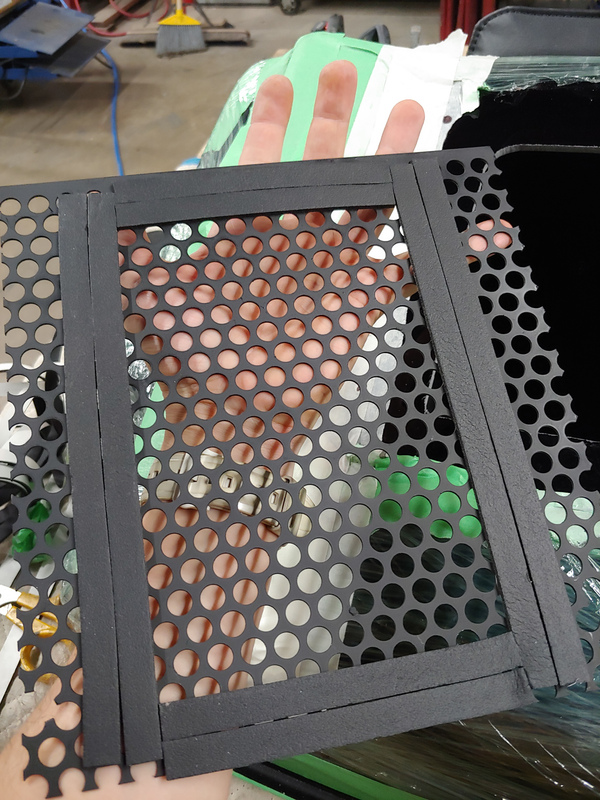 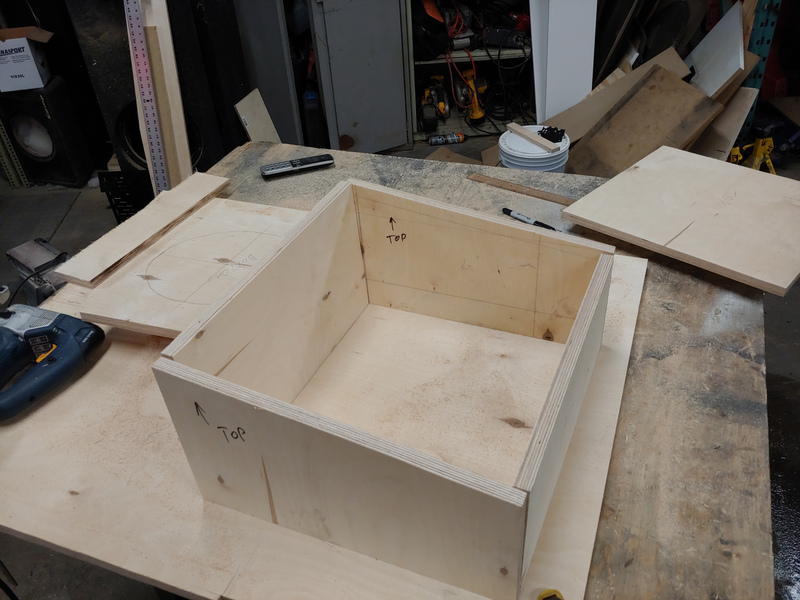 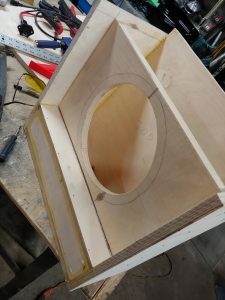 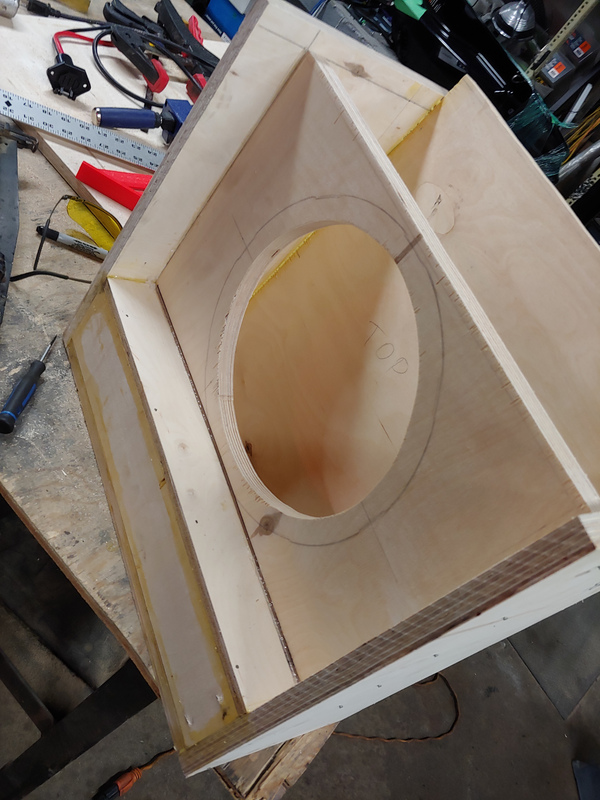 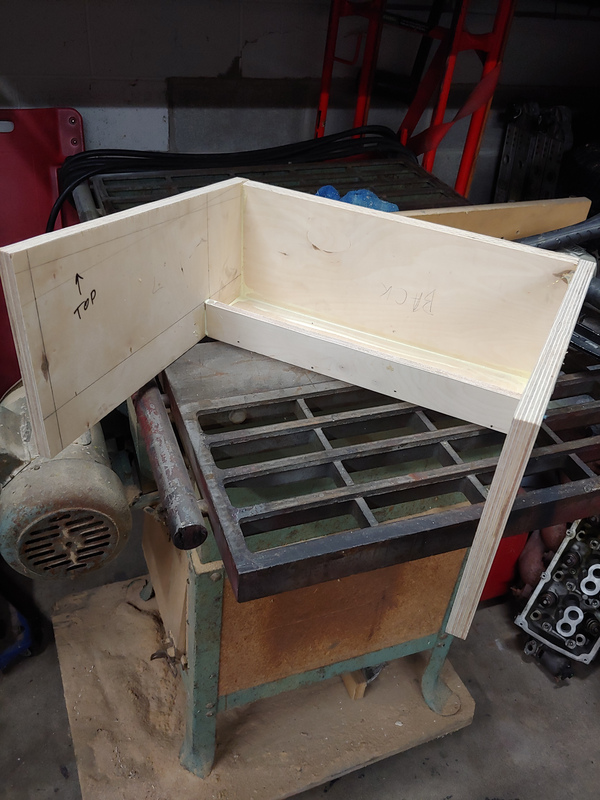 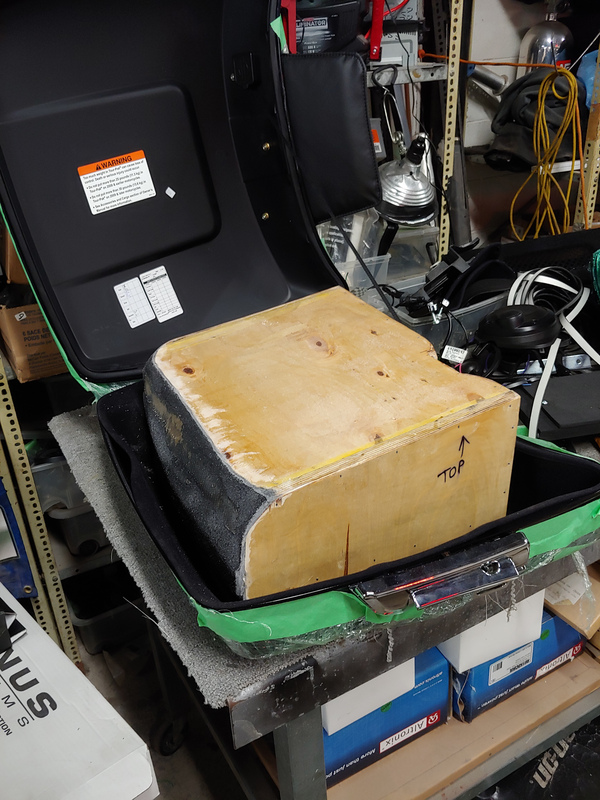 To get maximum output from the subwoofer we must modify the bottom part of the beerbox. 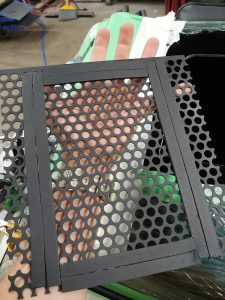 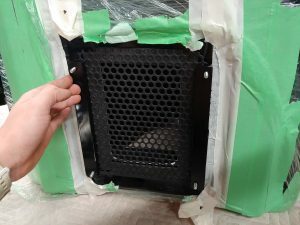 We cut the hole right under the speaker so the bass can easily go through this hole outside the beerbox. 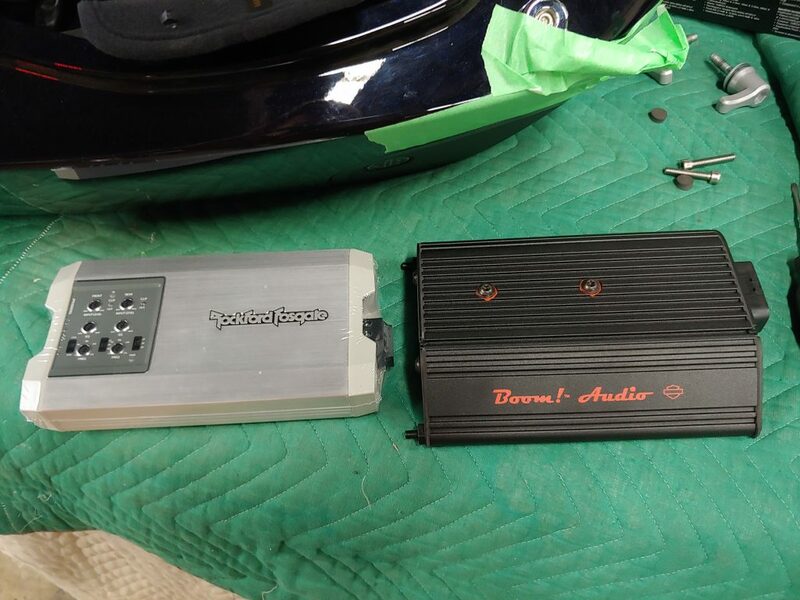 Next step- amplifiers. 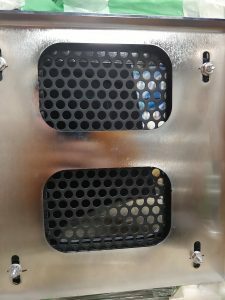 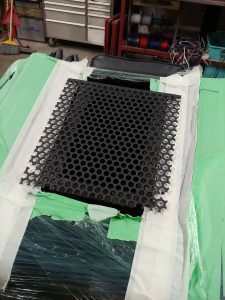 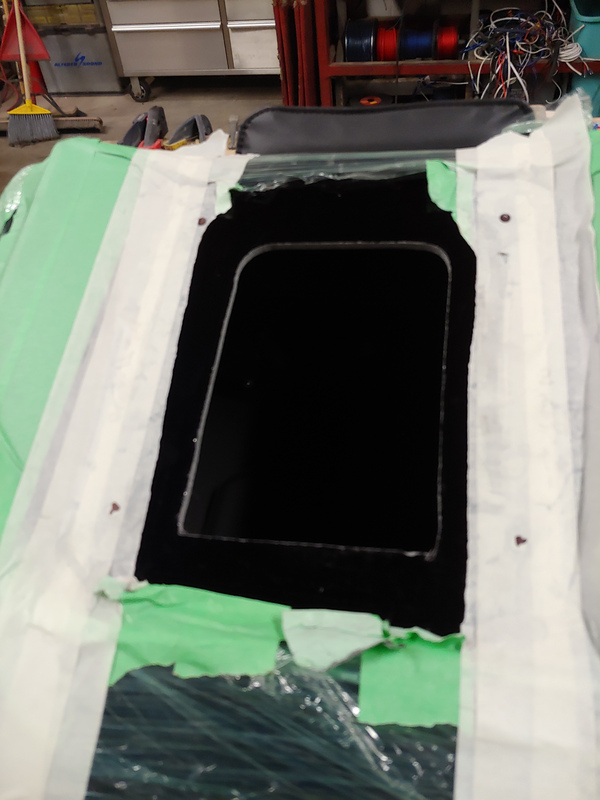 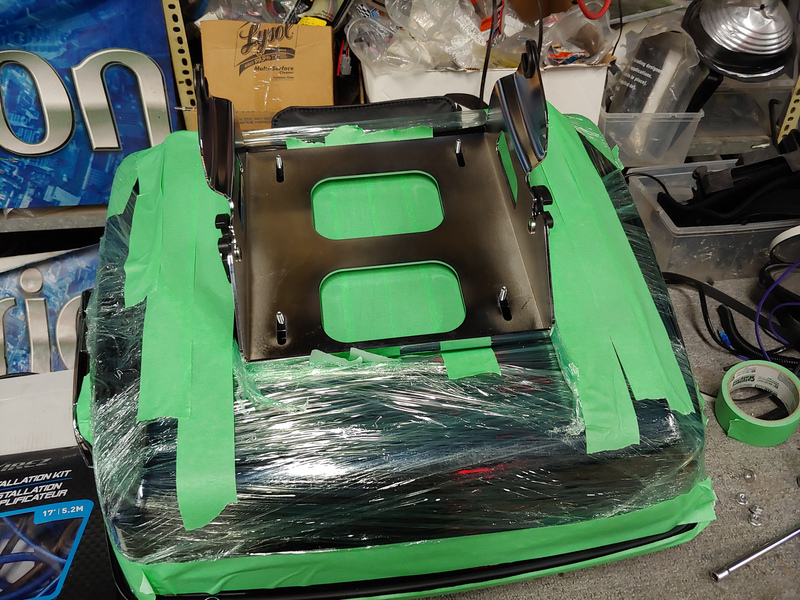 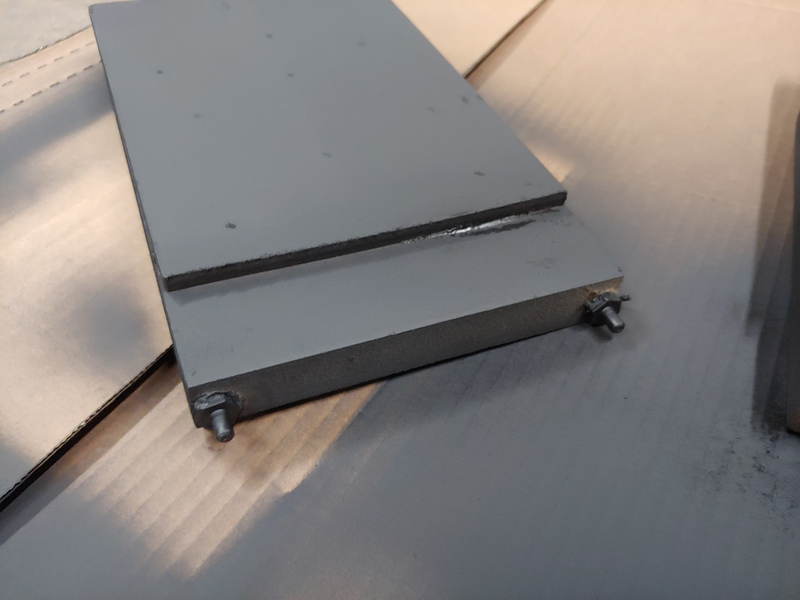 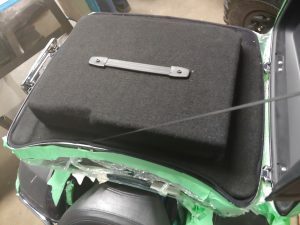 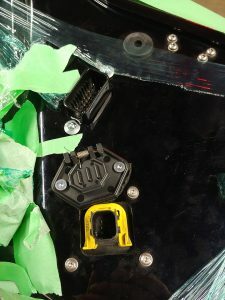 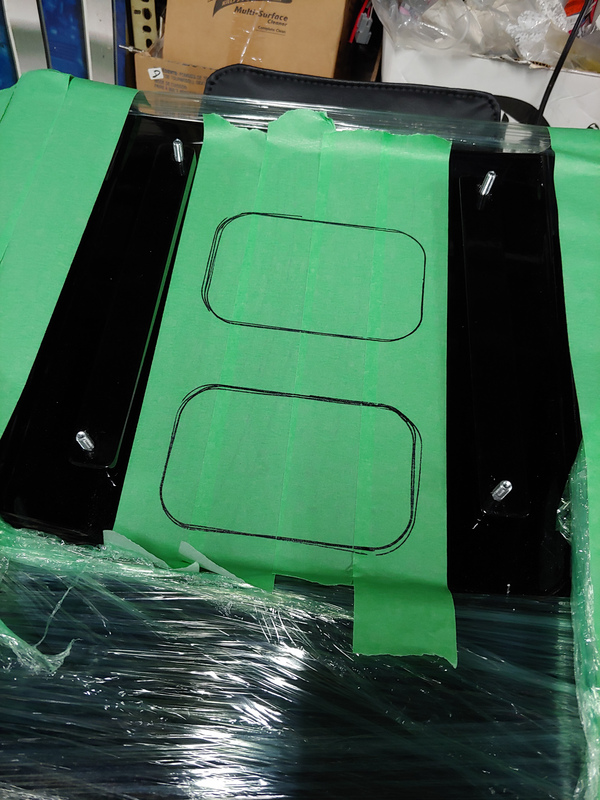 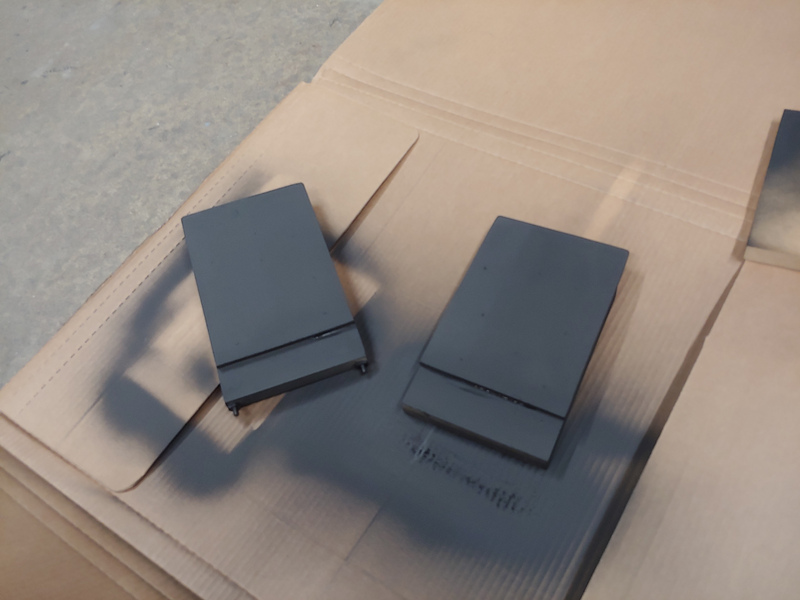 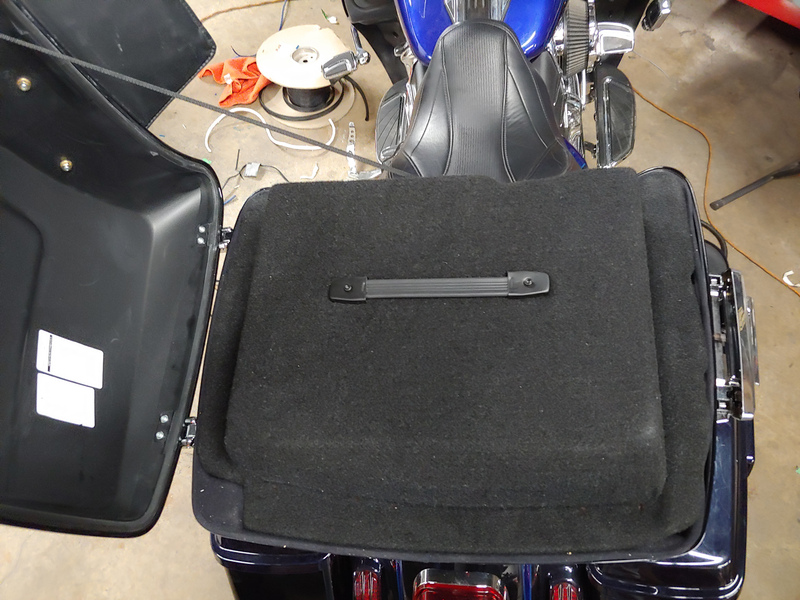 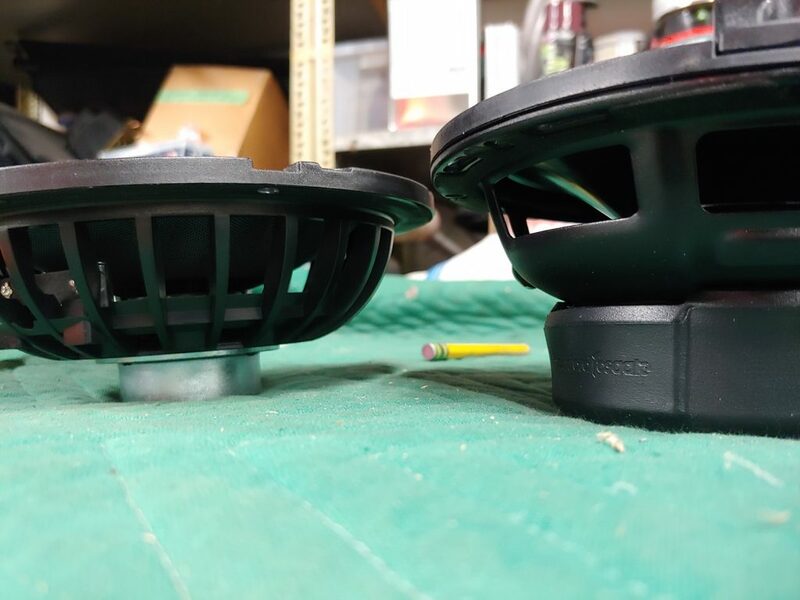 Each amplifier will be installed in each saddlebag using stock mounting brackets. 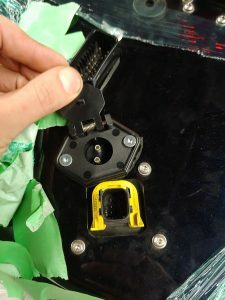 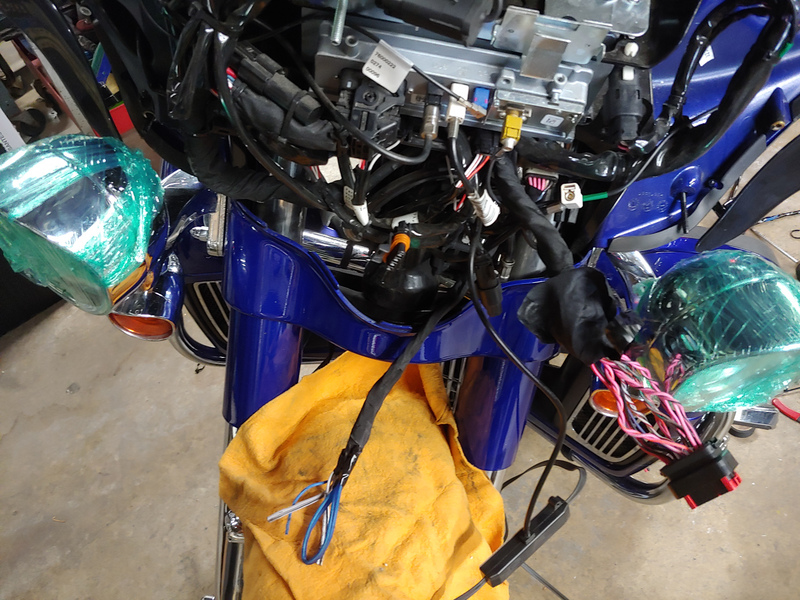 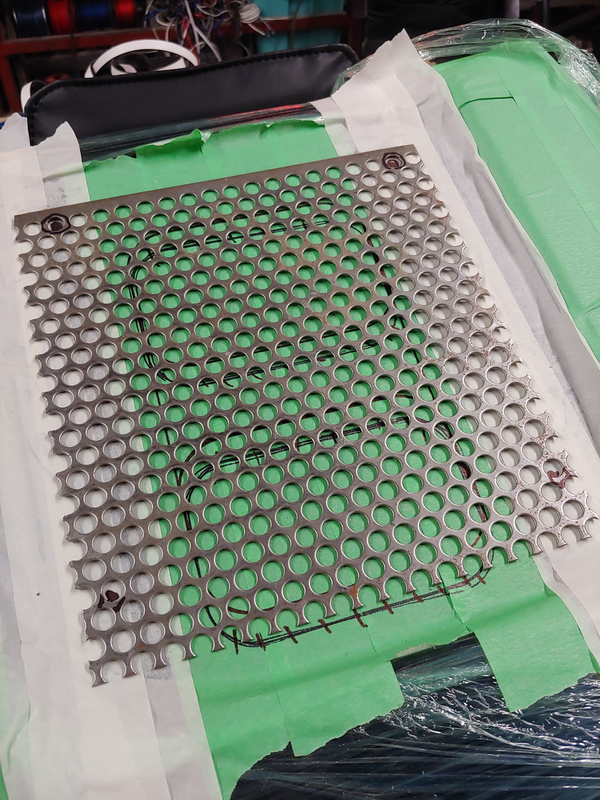 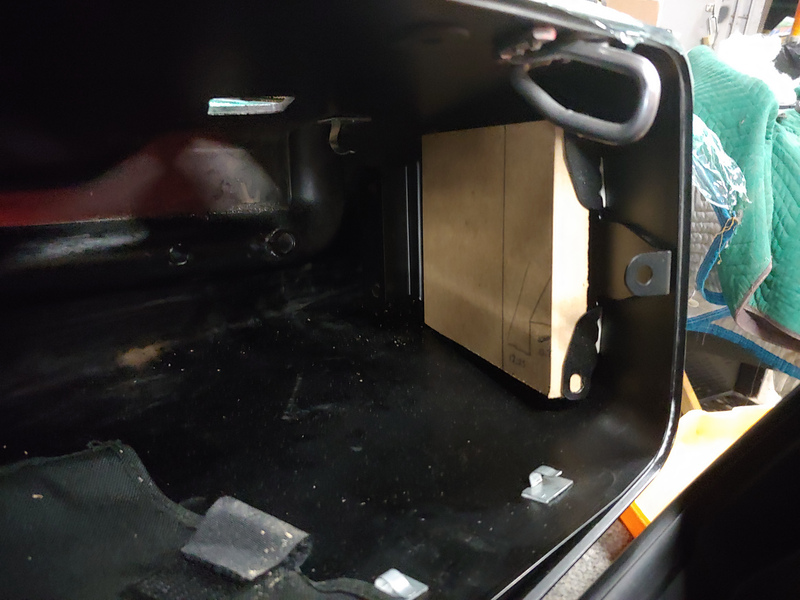 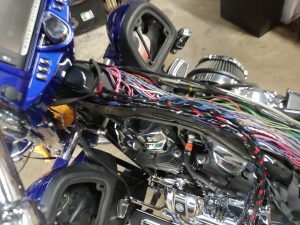 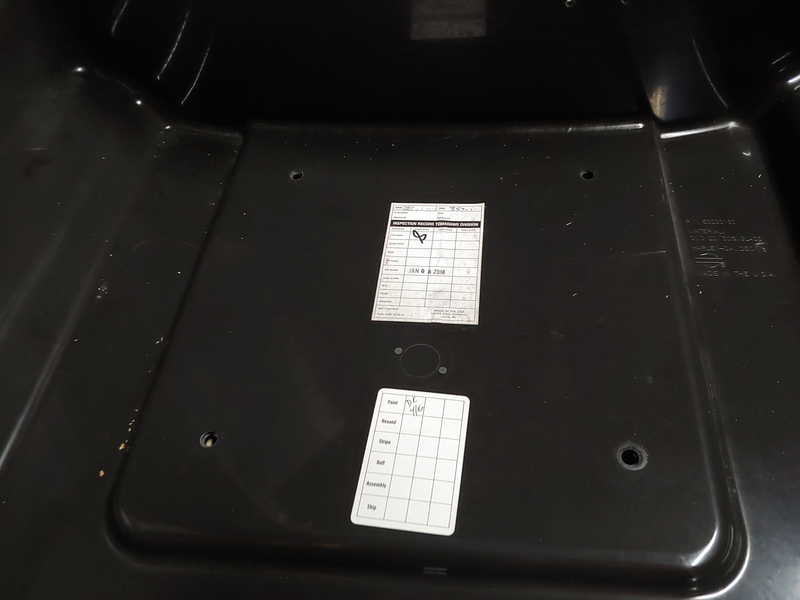 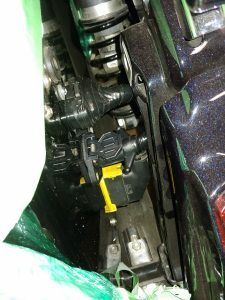 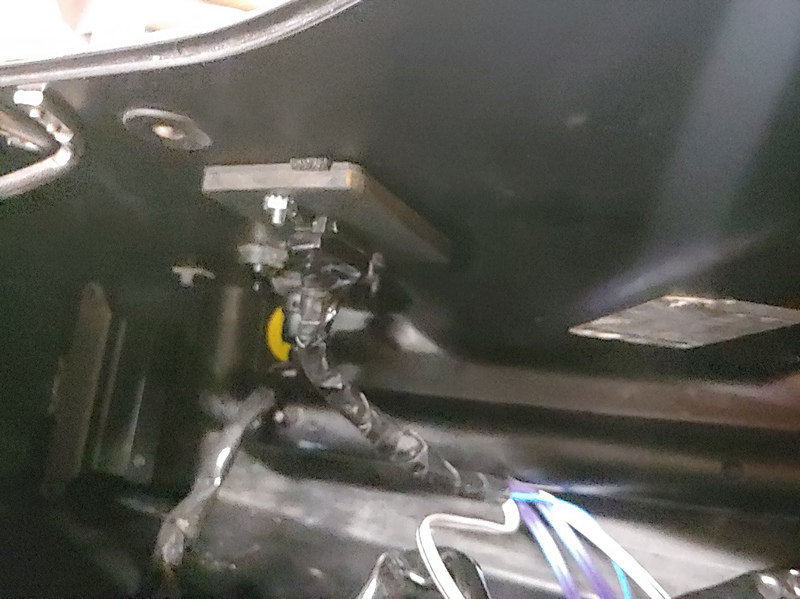 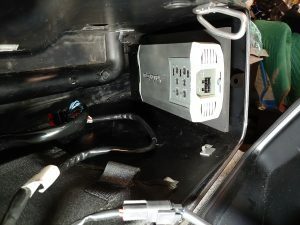 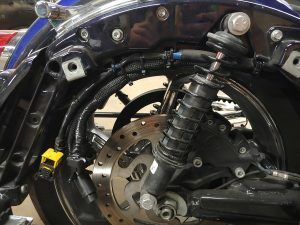 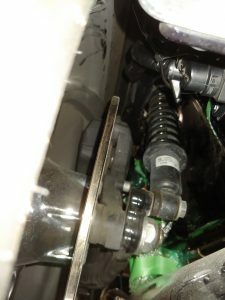 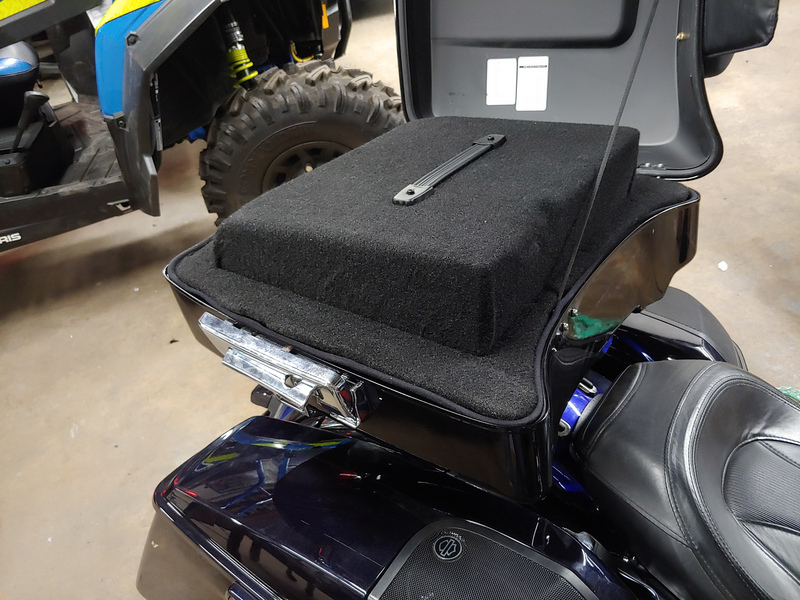 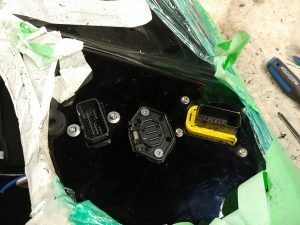 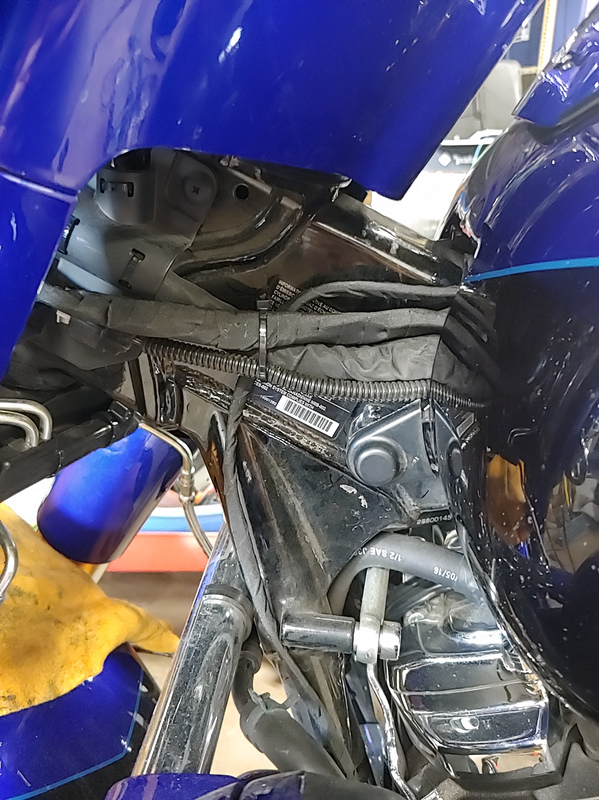 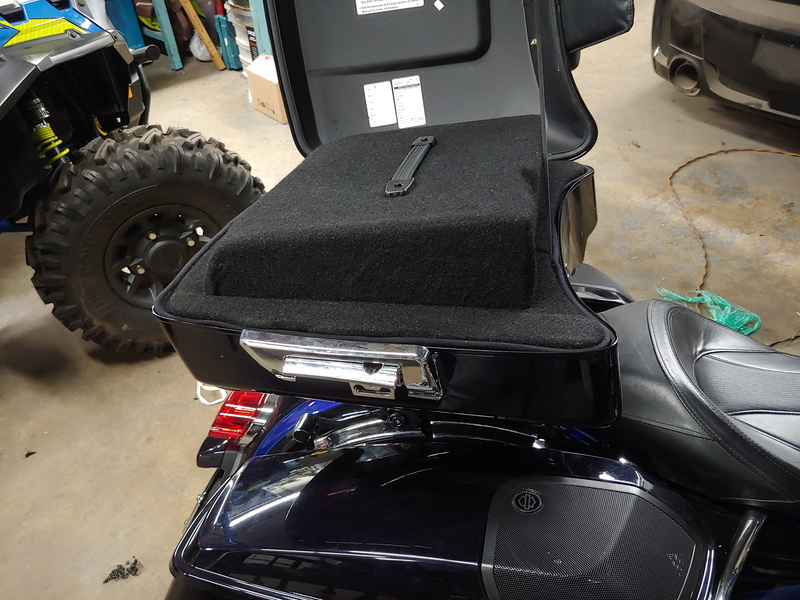 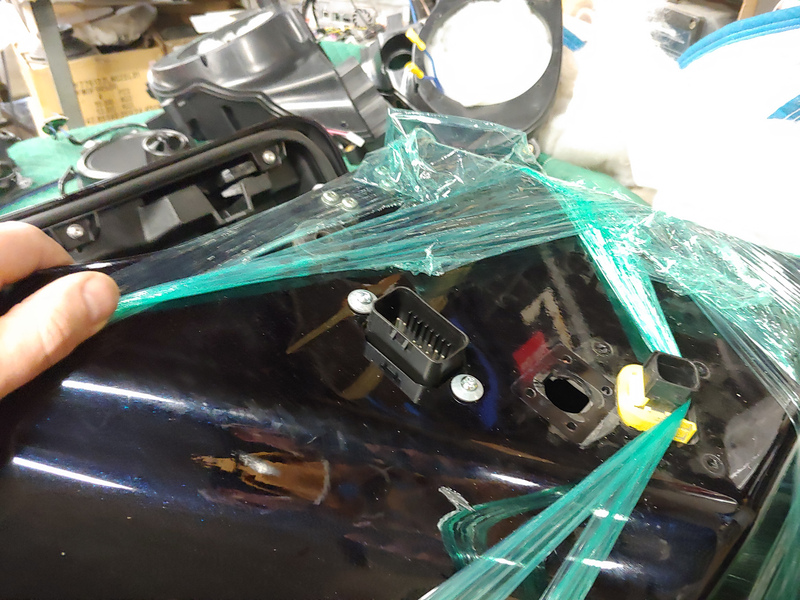 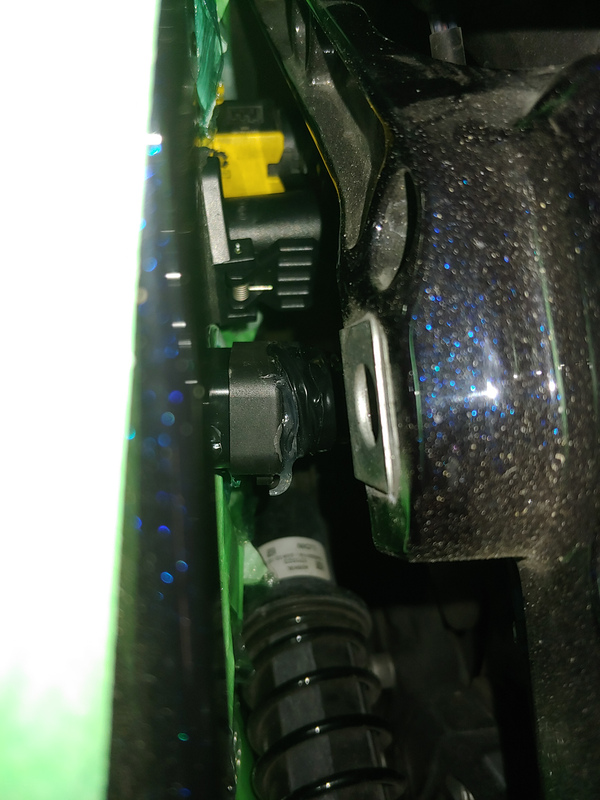 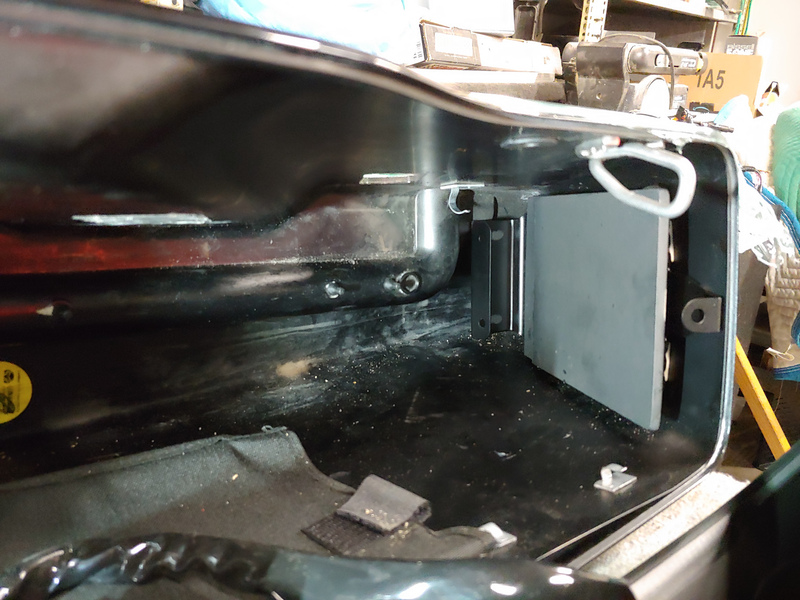 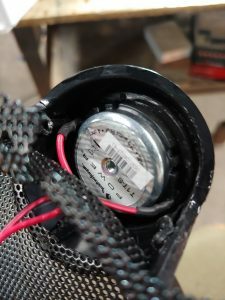 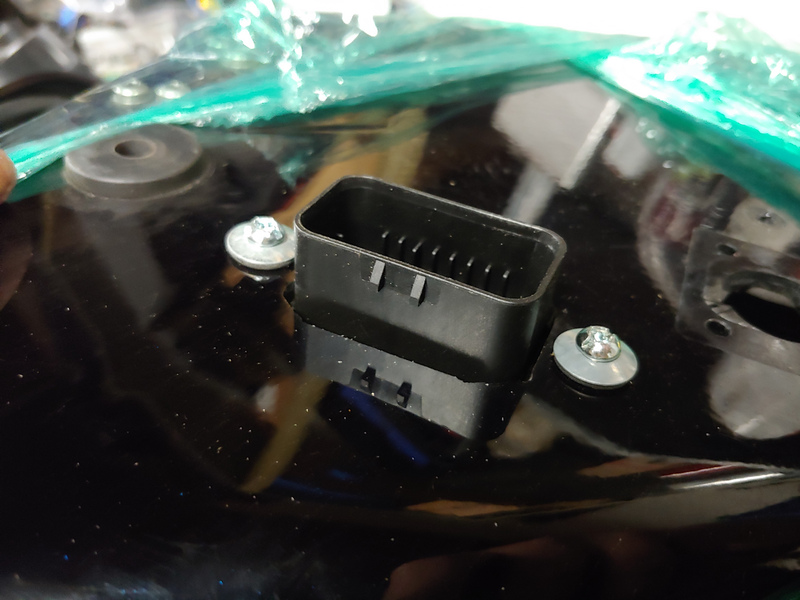 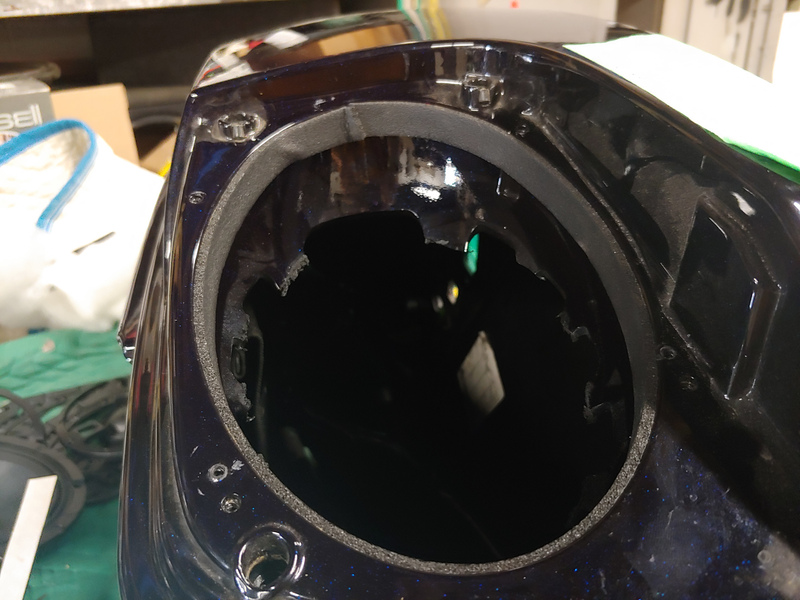 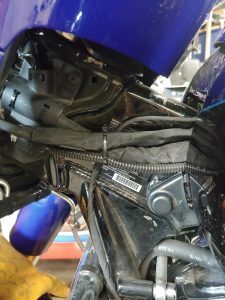 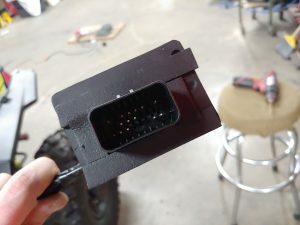 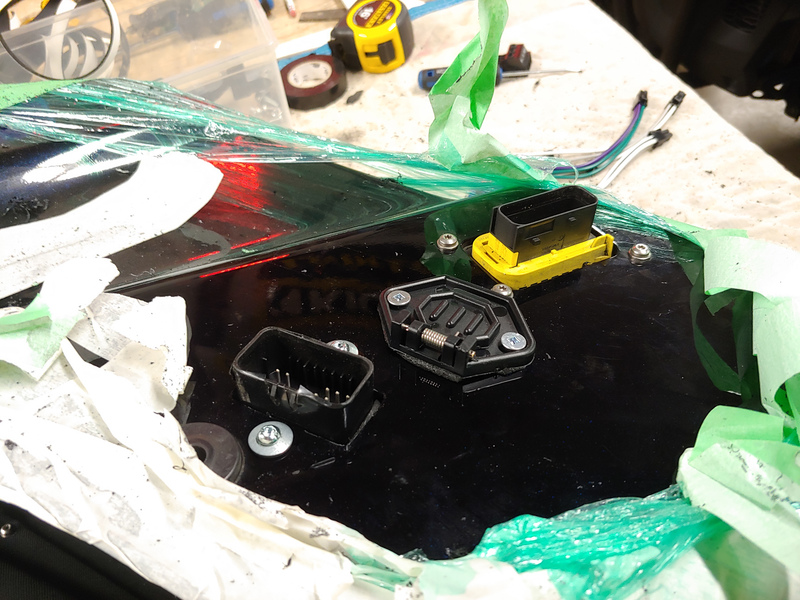 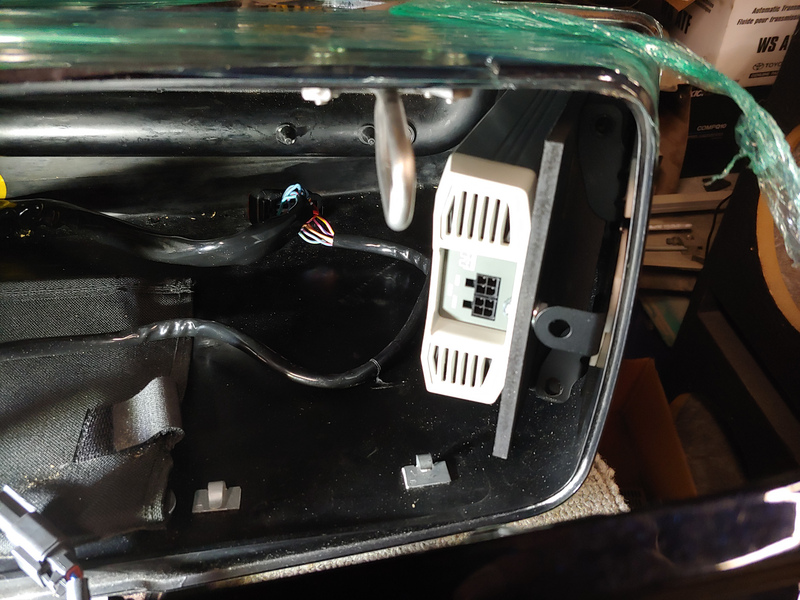 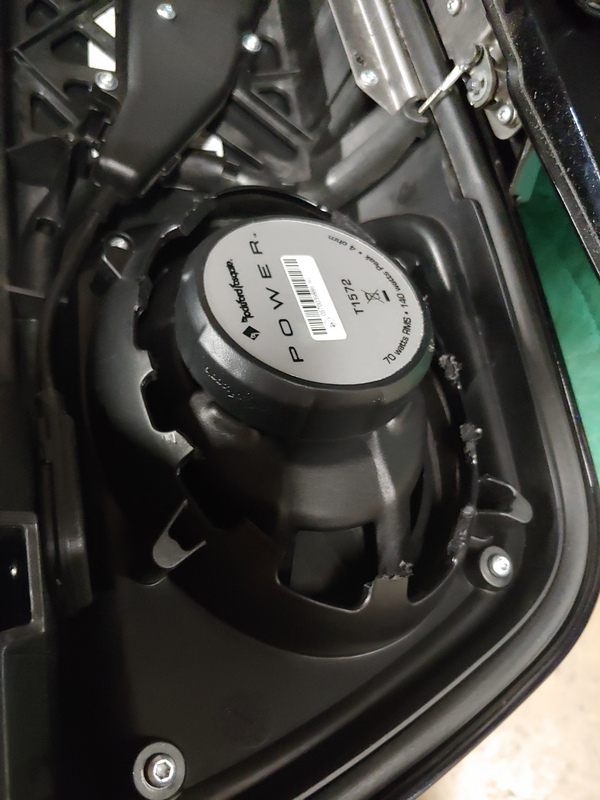 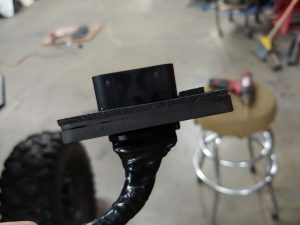 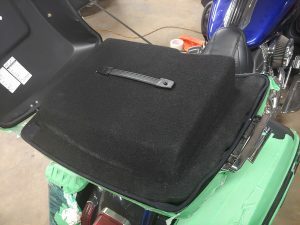 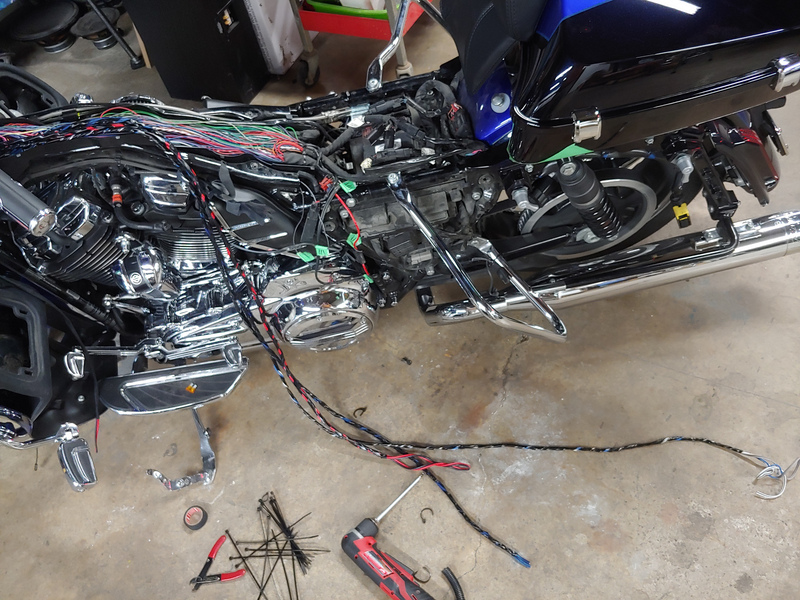 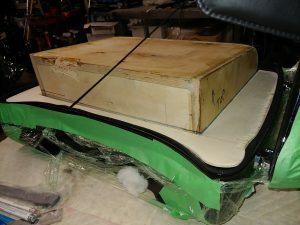 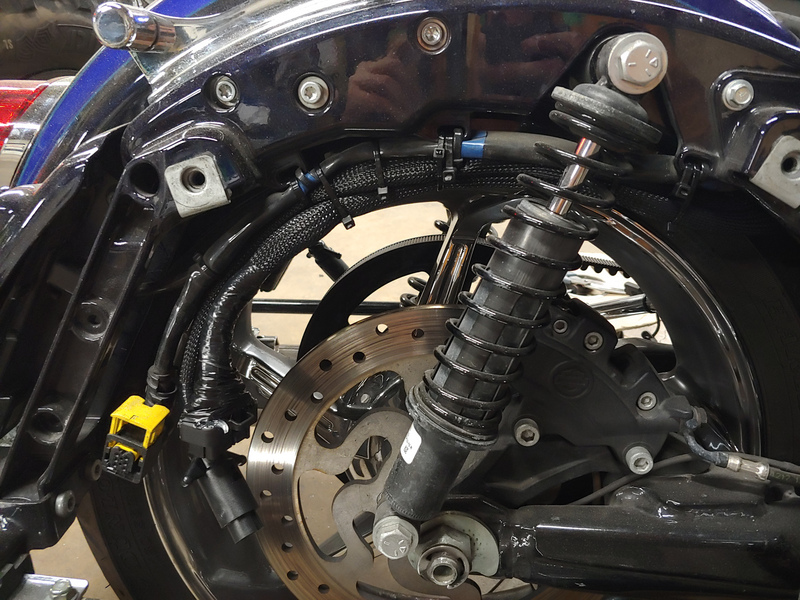 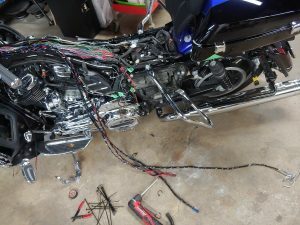 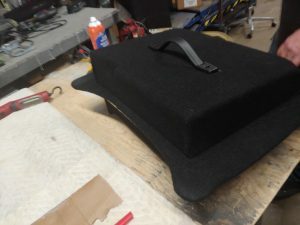 Saddlebags must be removable to clean and service the Harley-Davidson, so we had to use waterproof connectors for power and signal wires. 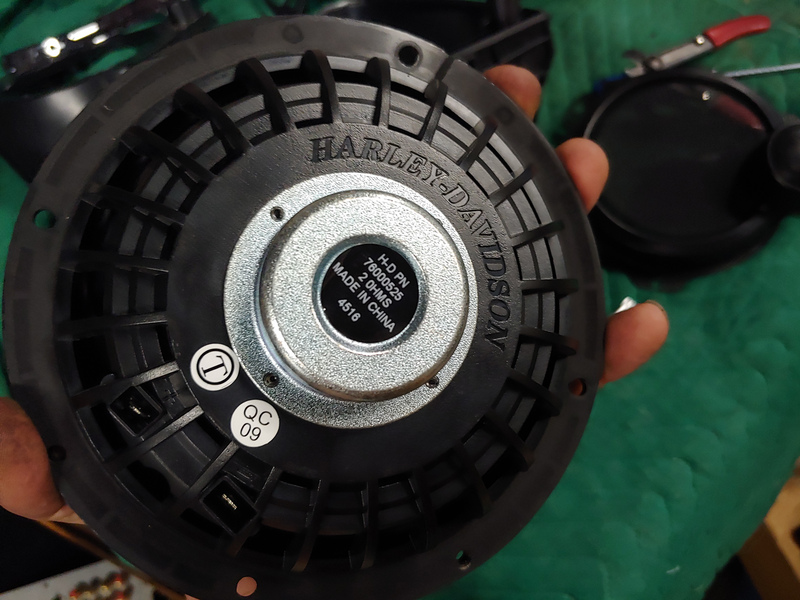 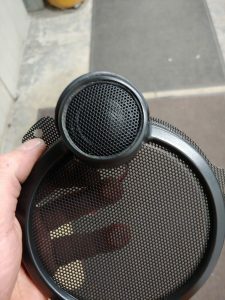 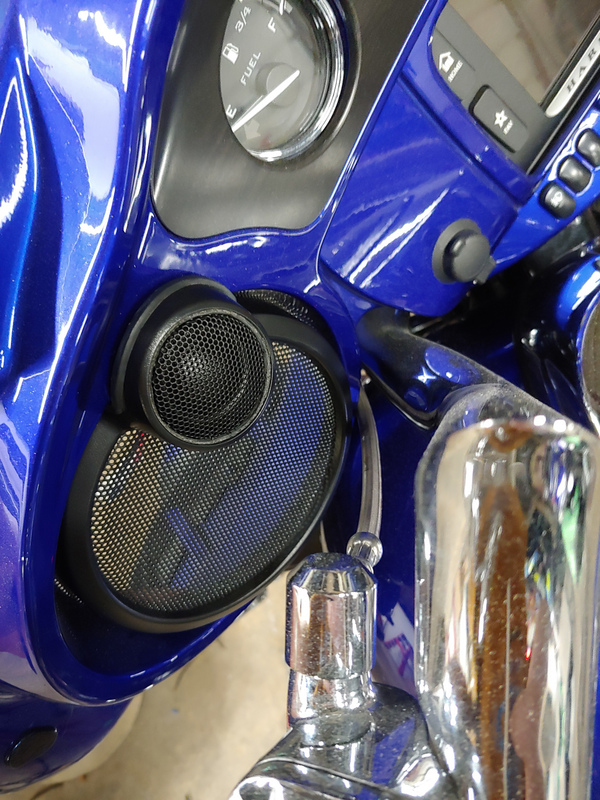 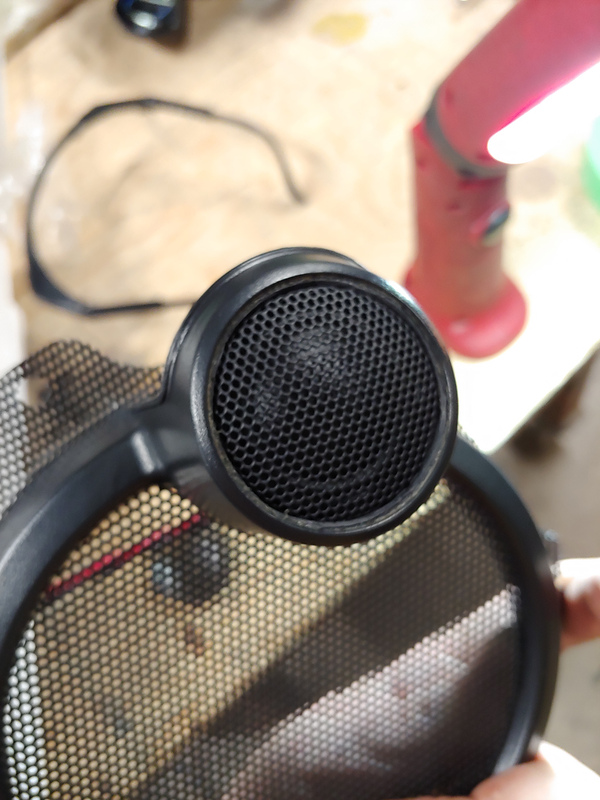 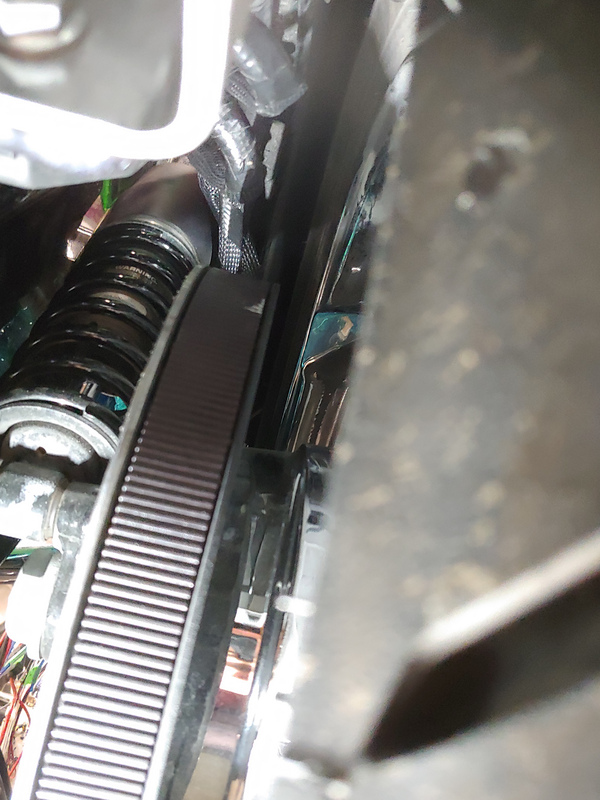 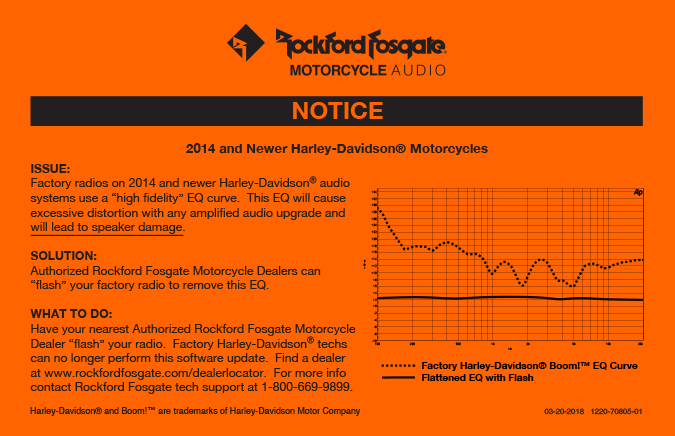 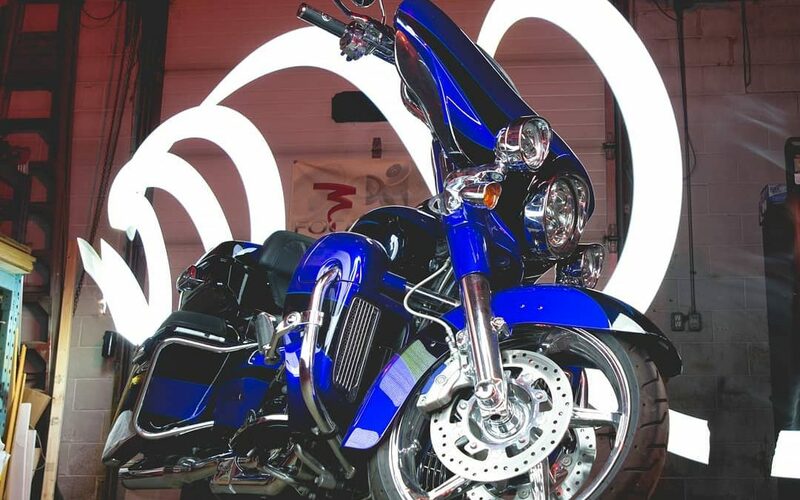 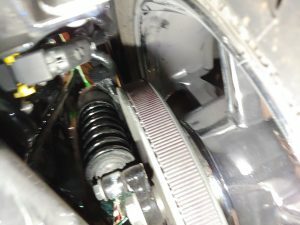 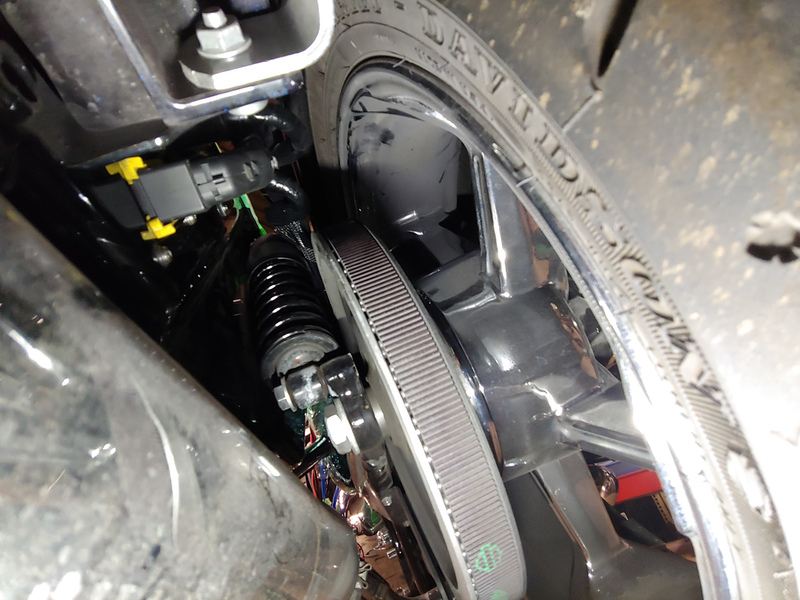 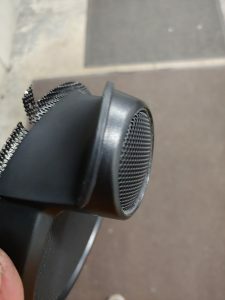 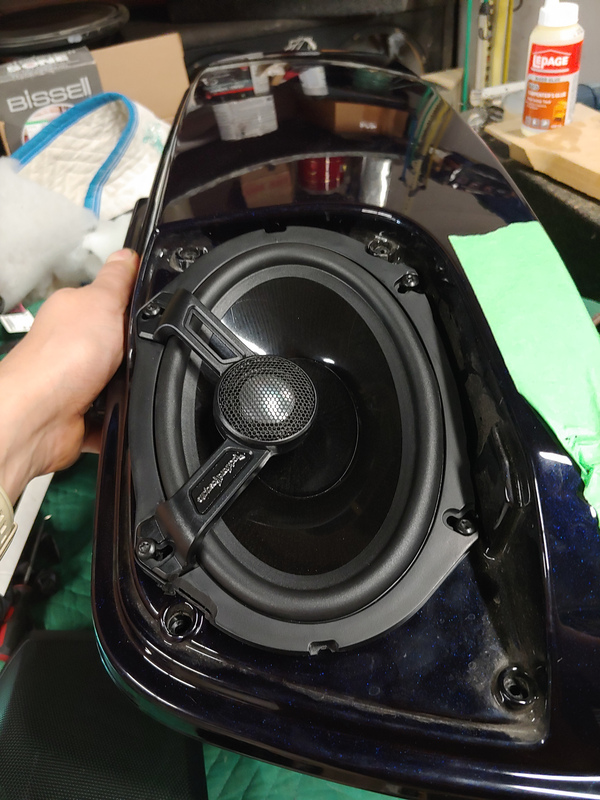 To get best sound in any Harley-Davidson (2014 and up) the stock radio MUST be flashed with special tool to remove built-in equalizer settings. 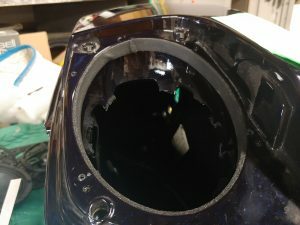 And here is final result. 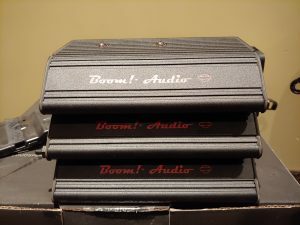 THE SOUND!